"I've always liked the healthcare/dental profession," says Sharon, who has spent half of her impressive 30-year career in Dental Hygiene here at Arizona Periodontal Group. "Because I'm an established hygienist in our practice, I've built great relationships with our patients." Building relationships and making a difference in patients' oral health care are important parts of the job to Sharon. It's also the reason why her patients come back to her year after year for their dental care and maintenance. Sharon is married with two grown sons. In her free time, Sharon enjoys exercise, dance, hiking, and skiing. 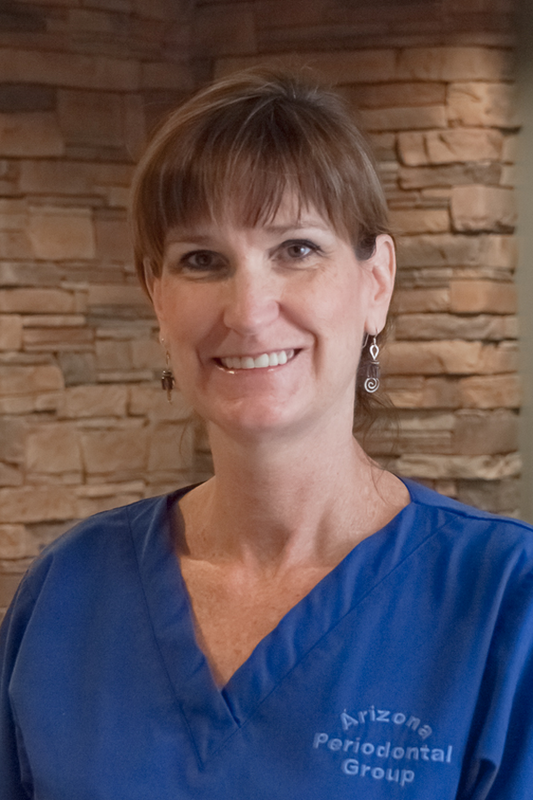 Jessica has been part of the team at Arizona Periodontal Group since 1999. Her role in the office is to "help the patients from beginning to end." She's the first face they see, the one who answers their questions about treatment planning, insurance coverage, payment and billing. Jessica always wanted to work in health care, and she is a passionate educator on the issue of oral health. "Many people do not realize how much of an impact their teeth/mouth have on their overall health," she says. "I want to spread as much information/education as I can." 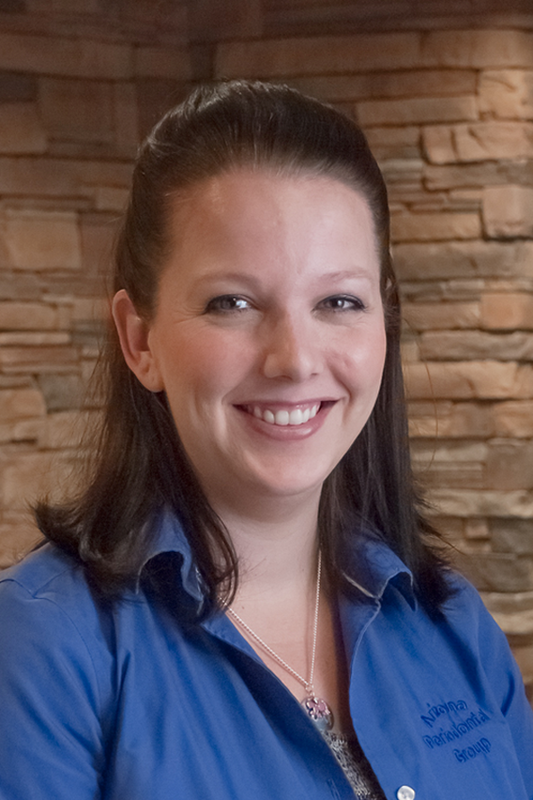 What Jessica most loves about Arizona Periodontal Group is that "We are a family. Most of us have worked together 10+ years, and we have grown together into an amazing, highly educated team of professionals." When she is not working, Jessica enjoys spending time outdoors with her husband, two young daughters, and extended family.